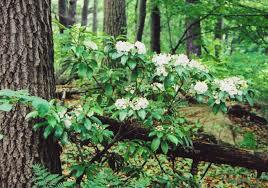 Other common names are American Laurel, Wood Laurel, Poison Laurel, and Southern Mountain Laurel. 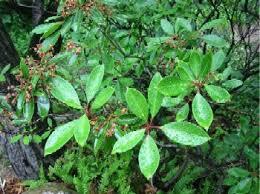 This is a beautiful plant but beware it is a poisonous narcotic. It can cause headaches, nausea, heart palpitations, paralysis and even death when taken internally. 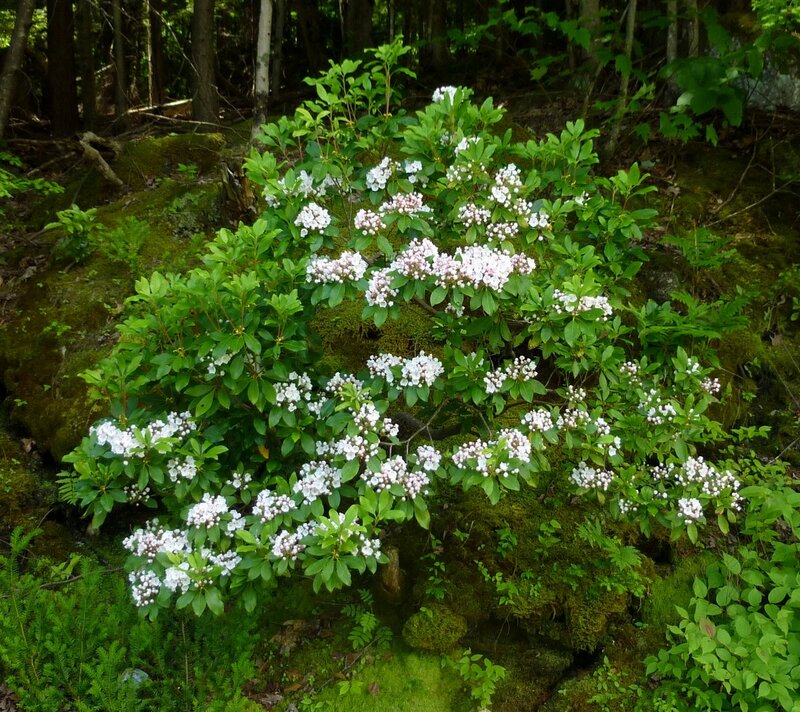 The slow growing Mountain Laurel is difficult to transplant. In the wild they often colonize by their spreading root system. This is what we do when we are on an Georgia Native Plant Rescue official rescue, we look for smaller plants that are at least three feet away from the mother plant. You need a plant that already has it own feeding roots for it to survive being transplanted. They like well drained soil so your should plant them on a gentle slope or in mounded soil. In our garden we have them planted on a slope under some tall trees. 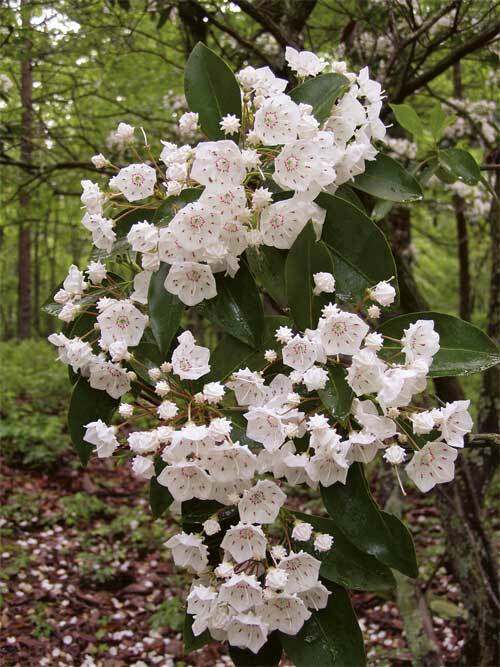 Mountain Laurel likes at least part shade, bloom in May and get up to 15 feet tall. They have beautiful flowers and dark green foliage that is evergreen. If you don’t deadhead the flowers they will turn into brown fruit capsules. It has been called the Spoon Tree because the Cherokee would use the tree to make spoons and bowls. After drying the wood becomes very smooth and hard. A yellow dye was made from the roots. It is a lovely plant to add to your garden because of it slow growing nature. You might be more successful purchasing one from a specialty plant nursery.